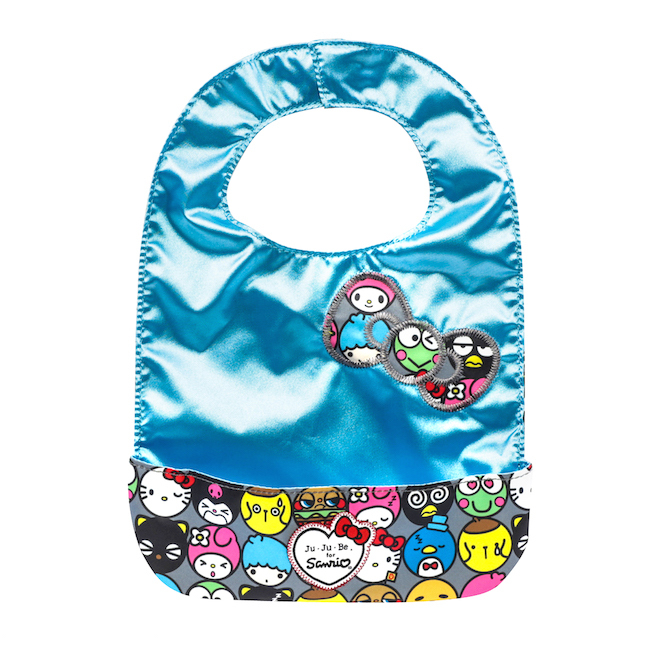 With its mix of fun Sanrio friends, these whimsical expressions are sure to make you smile. A quick peek inside reveals a pop of vibrant blue lining, a perfect complement to the slate exterior. With its fun, yet neutral tones, you’ll want to bring these new friends with you wherever you go! Everyone knows there is nothing neat about feeding time. Here’s a neat way to keep your kid...well...neat!